Paintings generally start from $400.00 to $1600.00. Simple detail on a 14 inch hoop drum up to a full detailed painting on a 20 inch hoop drum head. Drum cost is extra depending on size, skin type, etc. 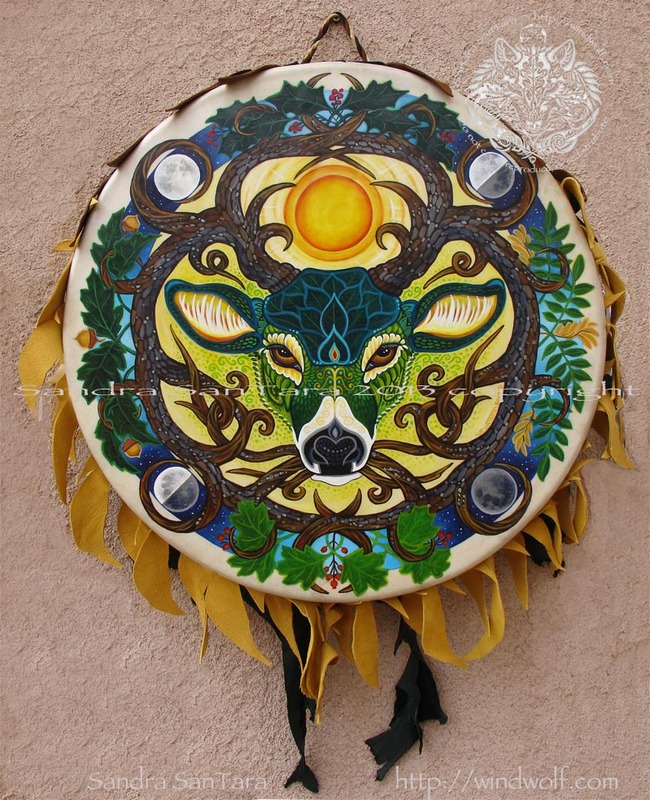 Offerings are 14, 16, 18, and 20 inch stretched skin either round or octagon style hoop drum. Skin is either deer, moose, buffalo, or horse. All is treated with the upmost respect and honor. Interested in commissioning a painting on a drum head? Please fill out the form below with size, details and any other information that would help me to give you the best quote. There is a uniqueness to painting on a musical instrument. 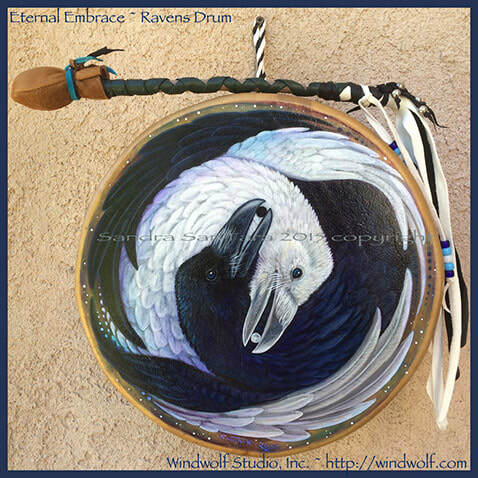 A stretched skin hoop drum mimics a canvas, sound and color creates a symphony in the image painted. This is my joy, this is the love in creating this unique art. Welcome to the doorway of my drum work. 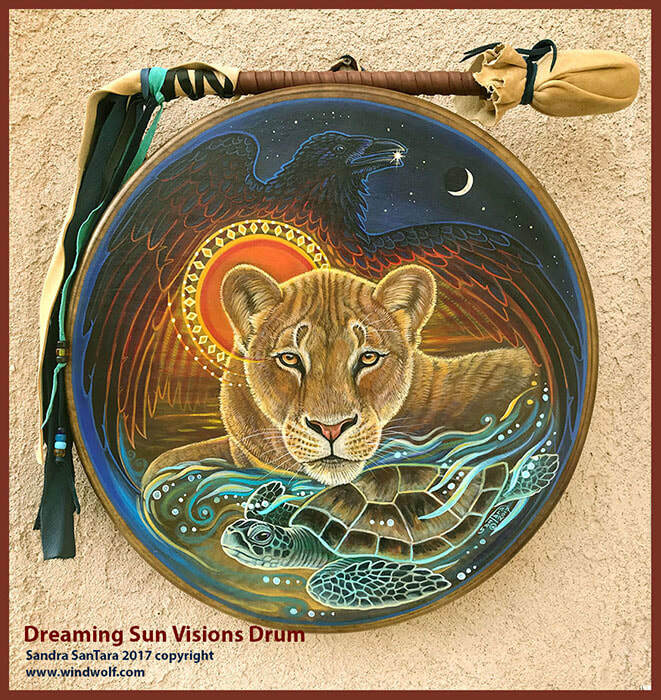 It features some of the paintings I have created on drum heads. I paint these in acrylic and is sealed with an acrylic varnish. Each one is a symbolic, one of a kind, image sparked by my own vision or in combination with a commissioner. Some are very personal. Channeled work that is treated with this respect in mind. Not one will ever be duplicated. Painted, these drums are fully playable. Using a soft beater or jewelry free hands is recommended. The painting will not scratch, chip or peel off unless something really abrasive is used on the surface. The acrylic and acrylic varnish bound and seal the skin creating a strong surface. I painted my Ashiko drum head back in 1992 and it still looks great. 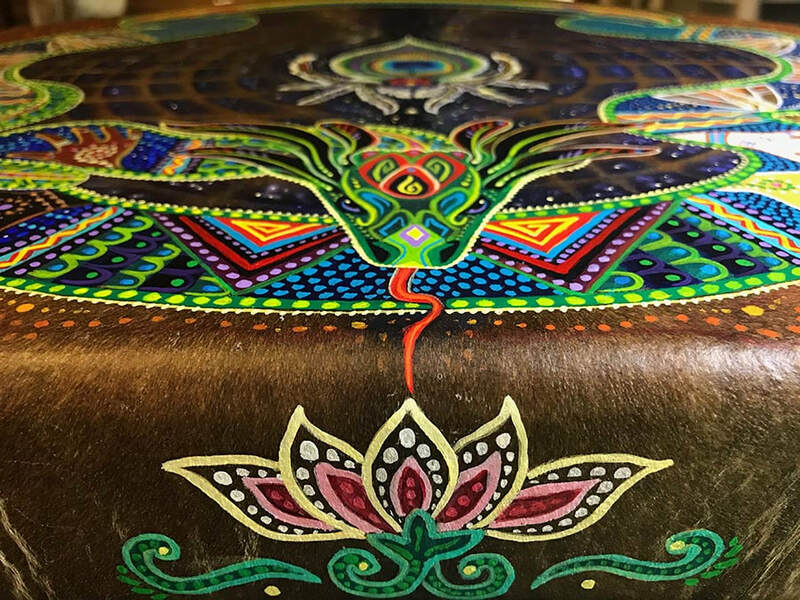 I am always interested in painting unique drums. 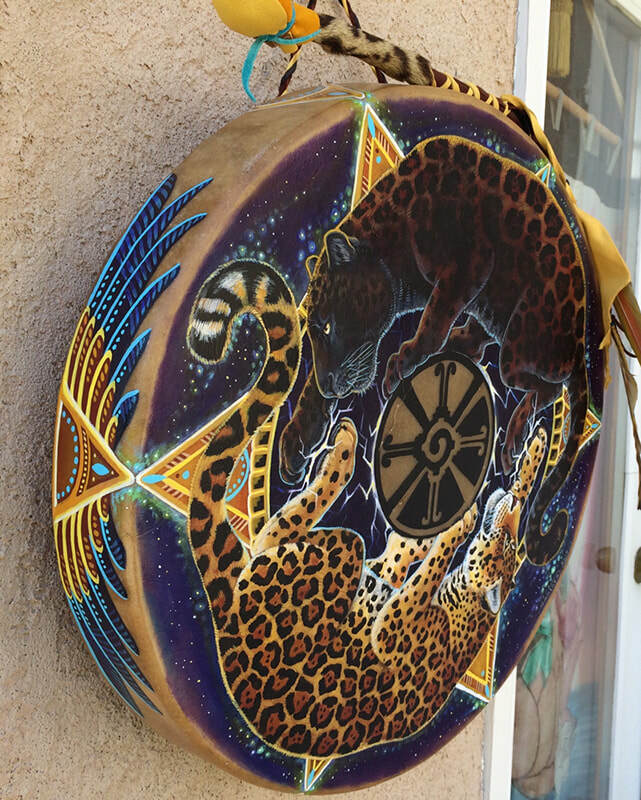 It would be an honor to paint a Mother Drum. Please do not hesitate to ask me to paint your special drum.